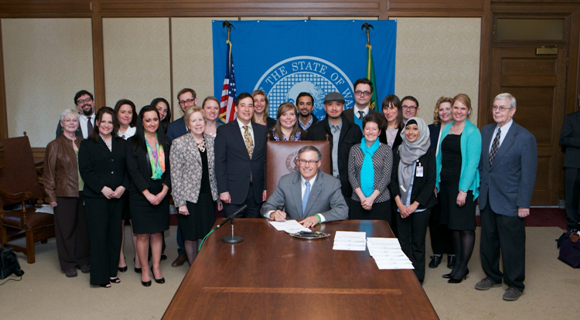 Thanks to all the stories, phone calls, emails and advocacy from all of you, the second part of the Fair Tenant Screening Act (SSB 5568) was signed into law by Governor Inslee on April 23, 2013. This is a huge win for tenants, housing advocates and survivors of domestic violence across Washington State! When you fill out an application for rental housing and pay a screening fee, often a landlord will use a third party company to put together a tenant screening report on a prospective renter. The new law prevents these tenant screening companies from reporting information about a person’s status as a survivor of domestic violence, sexual assault or stalking. This means tenant screening companies cannot report that a tenant has a history of domestic violence, nor can they disclose that a victim has a protection order in place for their safety. In addition, the law prevents screening companies from reporting to a landlord that the tenant has previously broken a lease and moved out early – as the law allows survivors of domestic violence to do in RCW 59.18.575. Filing a protection order and breaking a lease are both available as legal remedies to ensure the safety of domestic violence survivors. Therefore, we need to make sure our laws also guarantee that people are not punished – by repeatedly being denied rental housing – for choosing to use these options. Current law prohibits landlords from denying housing based solely on a person’s history of experiencing domestic violence (RCW 59.18.580); however, additional protections were needed to make sure a victim’s history of domestic violence could not be accessed by a landlord and used against them when applying for housing. Everyone needs to be able to have a safe place to start over. The new sections of the law will be added to RCW 59.18.580 and will go into effect on January 1, 2014. Having a wrongful or illegal eviction filing on their record, which a future landlord may use to deny housing. Paying the high cost of tenant screening and application fees, and still being denied housing. Ensuring that the information on a tenant screening report is accurate and reflects the prospective tenant’s actual history. Do you have a personal story about the challenges you’ve faced as a renter applying for rental housing? If so, please call and leave us a message on our Legislative Advocacy Line at 206.694.6748. We’d love to talk with you about ways to share your story and help change the Landlord-Tenant Laws. Thanks to all those who contacted their representatives, lobbied, made their voices heard, bravely shared their stories, and spoke up for fair, accessible, housing for all! If you have any questions about the new legislation or what it means for renters, please call and speak to a counselor on the Tenant Services Line 206.694.6767. The message line is open on Mondays, Wednesdays and Thursdays from 10:30am to 4:30pm, and Tenant Counselors respond to callers throughout the week. Markeletta Wilson filed a lawsuit seeking a court order requiring RentGrow and Yardi Systems to end their violations of Washington’s Fair Credit Reporting Act. The American Civil Liberties Union (ACLU) announced Thursday morning, April 4, 2013, that they are representing Markeletta Wilson in a lawsuit filed against RentGrow, a corporation that specializes in tenant screening. 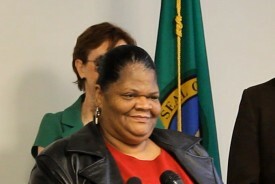 The ACLU lawsuit addresses RentGrow’s unfair denial of Ms. Wilson’s rental application in 2012 in Tukwila, WA. The denial was based solely on her criminal record from two decades ago, including two convictions for drug possession in 1988 and 1995. The screening company violated the Washington Fair Credit Reporting Act by reporting criminal history from over seven years ago. Since tenant screening companies are largely unregulated, it’s expected that Ms. Wilson’s experience is not uncommon. 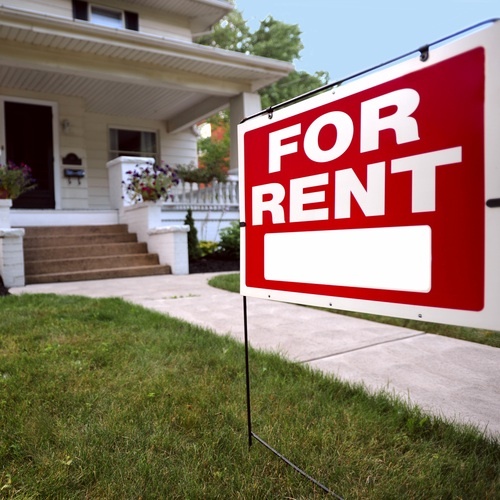 The case has been filed as a class action lawsuit, as the attorneys believe RentGrow’s screening practices have likely impacted numerous other renters across the state. Solid Ground and the Washington State Tenants Union participated in the ACLU press conference on Thursday to speak about the effects that unfair tenant screening practices have on families who are trying to secure stable housing. When screening companies use information that is outdated or incorrect, it makes it difficult for tenants with a criminal background to find stable housing and often leads people to become homeless. Solid Ground’s housing programs work with over 5,000 clients each year, including hundreds of families who are staying with friends and family, sleeping on couches, or staying in shelters because they are unable to secure permanent housing because of unfair screening practices. All people deserve a fair chance to obtain stable, healthy housing, which allows them to then find stable employment and avoid recidivism. This is an important step forward in making the process of tenant screening more fair for all tenants across Washington State. We are proud to stand beside the ACLU as they work to make safe, stable housing accessible for all people! You can read the full story on the ACLU’s website in Woman Unfairly Denied Housing Sues Tenant Screening Company. The The Seattle Times and KPLU 88.5 FM also covered the story. In June 2012, a new law took effect providing additional regulations around the tenant screening process. Our post from 5/30/12, Fair Tenant Screening Act passed!, describes in detail the new requirements that landlords provide written notice of what information will be accessed in a screening, what information may be used to deny housing, and notification of why a tenant was denied. However, there’s still more advocacy work to be done to improve tenant screening practices. Landlords frequently deny people housing based on marks on their rental history – such as prior evictions, poor credit, criminal background, etc. – forcing tenants to apply elsewhere. Tenants with a history of housing barriers must often apply to multiple places in hopes of finding an affordable unit they will be accepted into. This screening process can become very costly, because every time a tenant applies for a new rental, they must pay a screening fee ($35 to $75+) so that each different landlord can run a background check. 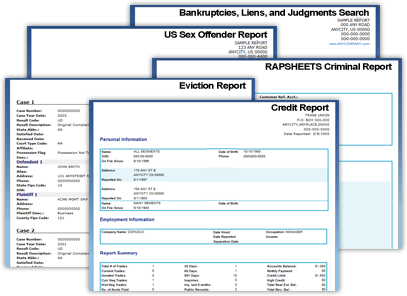 Some screening companies offer the option to purchase a portable report, which allows tenants to pay one fee and take the report to several landlords or have online access to it. In theory, this method prevents tenants from having to pay fees to each landlord that conducts a check on them. Unfortunately, landlords are NOT required by law to accept reports provided by tenants. Many landlords choose to have their own screenings conducted and require that tenants pay a separate screening fee, even in cases where the same exact screening company is used by both landlord and tenant. Because of this, paying for a portable report from a screening company can be risky and costly – and can actually cause tenants to spend more on screening fees. While tenant advocates are working to address the issue, to date there are no laws mitigating rental application screening costs. Prior to paying for screening, it is important for tenants to remember that landlords must present a list of criteria they will use to determine tenancy eligibility. Some landlords are able to discuss their criteria with tenants in detail, and this can guide a tenant’s decision whether or not to continue with an application process and pay the screening fee. Having a conversation with a prospective landlord prior screening, proactively asking questions, and reviewing criteria for denying housing can sometimes prevent costly screening fees. Lastly, everyone is entitled to a free copy of their credit report from the three main credit reporting agencies; you can get yours at AnnualCreditReport.com. Bring your credit report to prospective landlords and ask if they will accept it. While some landlords may choose to conduct additional screening anyway, presenting your credit report may be another way to avoid screening fees. If a landlord refuses to accept the credit report, then you can choose whether or not to continue with the process and pay the screening fee. For additional information on screening fees and the rental housing application process, visit Tenant Services – Housing Search on Solid Ground’s website.